July 29th has come and gone. That was the anniversary of the official Windows 10 release in 2015 and this year marked the day that Windows 10 would no longer be available as a free upgrade to Windows 7 and Windows 8.x systems. Well, I’ve got news for you—you can still get Windows 10 at no cost if you can satisfy certain requirements. There is no guarantee that any of the following methods will remain applicable for any specific amount of time. One may work today and not work tomorrow. It is true that you can no longer upgrade a Windows 7/8.x system to Windows 10 using a direct upgrade approach, but you can still use a valid Product Key to perform the upgrade. This method requires you to download the Microsoft Media Creation Tool. This tool will download the latest Windows 10 version and give you the option to create either a bootable CD/DVD or USB drive. Boot from this newly created medium and when prompted, enter a valid Windows 7/8.x Product Key. When the Key has been verified by Microsoft, Windows 10 will be installed on your computer. The beautiful part of this deal is that once Windows 10 has been installed on a machine, you never need a Product Key again– at least not for that particular device. Your computer/device will be on record, so to speak, so even if you reverted to an older operating system, Windows 10 will always be free to install on that system. If you have ever installed Windows 10 on your device, you always have the option of installing it again. This is true even if you’ve been running Windows XP, Linux, or whatever. Once you’ve installed Windows 10, that device is locked in to the free installation offer. 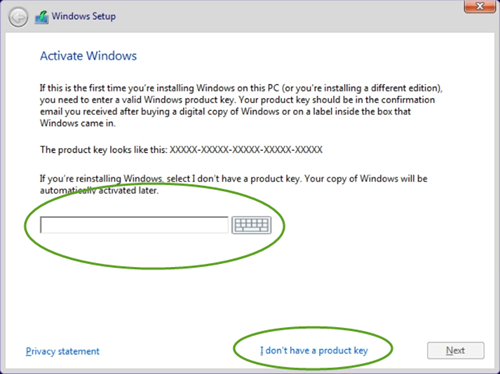 You won’t even need a Product Key because Microsoft forgets nothing. Sweet! Using Method 1 above, skip the Product Key. When Windows nags you about Activation, ignore that too. Yes, you will be pestered from time to time about Activation, but Windows 10 will work perfectly, for the most part. Of course, you won’t have access to any online benefits which you could otherwise enjoy by having a valid, activated copy of Windows 10 attached to a Microsoft account. This really boils down to whether you can stand the nagging, and doing without the perquisites. It could prove useful as a Windows 10 test run on a Virtual Machine, for instance. This may sound a tad shady and that’s because I think it is. It is not something condoned within the licensing parameters, either. The argument for following this advice is that if Microsoft didn’t want people to do this, they could easily write the software so this ploy wouldn’t work anymore. That’s a weak argument, but there is an element of truth to it. There is also the very real possibility that Microsoft is leaving these giant holes in place in the hopes that more people will adopt their new operating system. Satya Nadella strikes me as being a very clever person and should not be underestimated. Some people seem to enjoy a perverse sense of victory if they believe they’ve gotten away with something due to their ill-perceived idea of how cunning they are. That’s funny if ol’ Satya is already on to their game. If you choose this method you will have to see if it leaves a bad taste in your mouth and whether you can live with it. Incidentally, this worked in Windows 7, too. We first reported about this method on 1st August and it still remains available. The same argument holds true here as for the previous method, that is, that Microsoft offers it, therefore it is fair game. 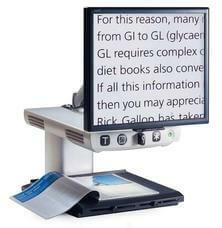 Microsoft says that if you use Assistive Technologies, such as Screen Readers, Magnifiers, and so on, (basically, anything that a physically-challenged person needs to use their computer) you can get a free copy of Windows 10. I really think this is cheating. Microsoft is kind enough to offer this opportunity to people who already have a very tough time of things. Taking advantage of even a giant corporation in this way strikes me as displaying a moral weakness. However, I include it in this list only because Microsoft could make it difficult, if not impossible, to game the system if they really wanted to. I will say it again– there is no reason to expect any of these methods to work tomorrow; Microsoft could pull the plug on any of them as I’m putting these words down on paper(? ).